Floppies or CD-ROM. 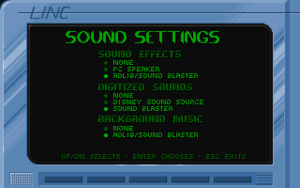 See run in DOSBox (retail). Also sold as part of The Apogee Throwback Pack. BStone is a native port of the engine source code with support for higher resolutions and other features. Linux users should download the hosted precompiled version if you do not wish to compile the software from source code and extract bstone bin file into the installation folder. Use bstone with the --no_screens command line argument. 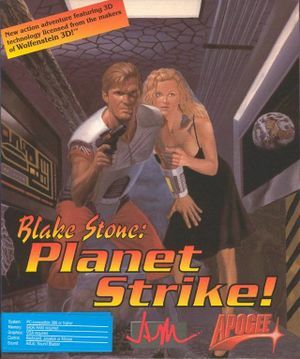 To run Blake Stone correctly in DOSBox change cycles=auto to cycles=max. WDC supports editing maps, enemies, music and many other game features. You must start a new game for the map changes to take effect. Frame rate is capped at 70 FPS. Dialogue is text-only (enemy taunts etc. are not subtitled). ↑ 2.0 2.1 File/folder structure within this directory reflects the path(s) listed for Windows and/or Steam game data (use Wine regedit to access Windows registry paths). Games with Steam Cloud support may store data in ~/.steam/steam/userdata/<user-id>/358310/ in addition to or instead of this directory. The app ID (358310) may differ in some cases. Treat backslashes as forward slashes. See the glossary page for details.